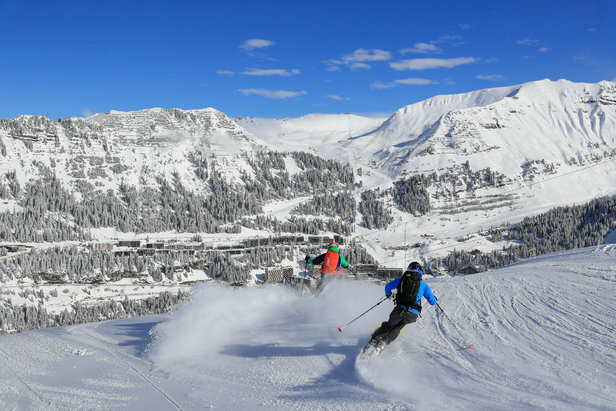 Carve long and hard this winter and explore some seriously long ski runs in the Alps. Not only do longer descents allow you more time on the slopes and less time waiting for lifts, but they start high, offer awesome views, and take you on a journey through some of the most diverse terrain on the mountain. 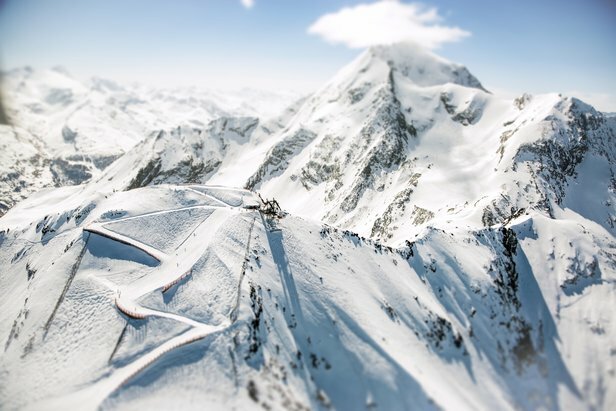 Here are some of the longest ski runs in the Alps, each with an epic descent for all levels. 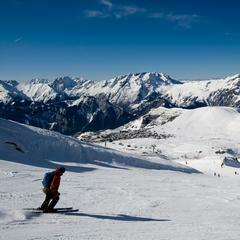 The Sarenne piste stretches from Pic Blanc at 10,925 feet to Alpe d'Huez at 6,102 feet. It consists of two sections: initially a fairly steep series of pitches which can get a bit bumpy and then a long, flatter section along the valley. It's primarily an advanced ski run, but you can avoid the really steep section at the top by skiing off from the Marmottes 3 bubble instead. On a powder day, the run can take quite some time with waist-deep snow to wade through in the flatter section. The 'Eleven' piste is, as you may imagine, a 6-mile long ski run. It starts from the Greitspitze at 9,422 feet, the highest skiable point in the Tyrol, and descends to Ischgl at 4,593 feet. The first part of Eleven is advanced, then the ski run is consistently intermediate. The middle part of the ski run takes you past the Idalp and on to the town center of Ischgl. The best way to access the starting point of Eleven is by the new Lange Wand C5 or by the Greitspitz lift B4 or by the Greitspitz mountain railway O1. 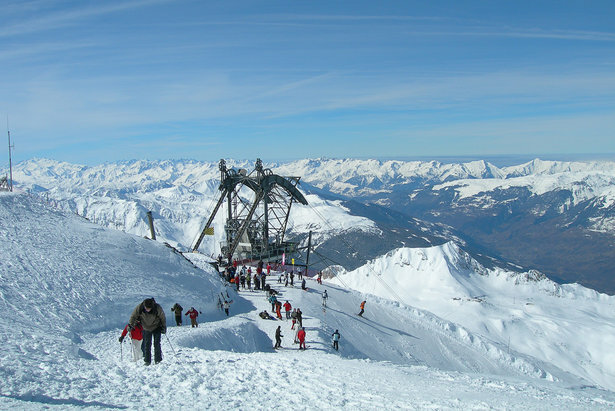 Ride the cable car up to the highest peak in the resort, the Aiguille Rouge (Red Needle) at 10,583 feet. From here, ski the Aguille Rouge run down to the hamlet of Villaroger at 3,937 feet. This ski run is notable for its length (5 miles) and vertical descent (over 6,500 feet). It is classed as black at the top, then about a third of the way down changes into a blue, but is still very demanding. The Aiguille Rouge is best tackled at the beginning of the day as queues to get on the cable car form quickly and the slope can become crowded. Good quality snow can almost always be found on the Aiguille Rouge; the upper half being above 9,800 feet while the lower half is north-facing so it holds the snow well. 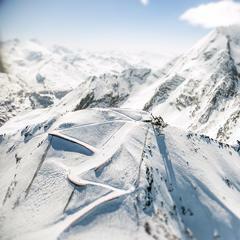 Access one of the world's longest ski runs from the Klein Matterhorn, also known as the Piccolo Cervino. 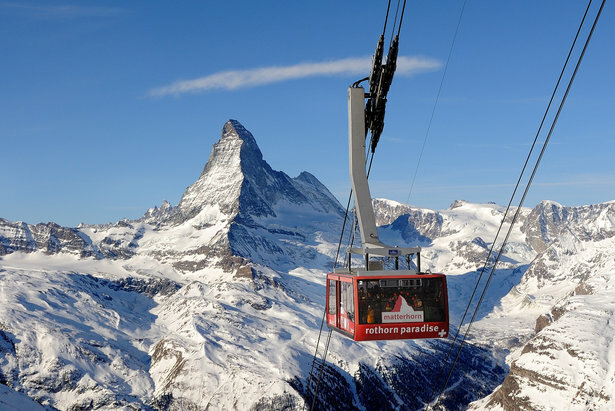 Europe's highest cable car whisks you up onto the Klein Matterhorn over gigantic glacial crevasses. From its lofty height of 12,740 feet, take an epic 12-mile descent down blue runs to Valtournenche at 5,000 feet, Cervinia's lift-linked neighbor. Alternatively, from the Klein Matterhorn, you can ski the descent down into Zermatt, Switzerland. Whichever direction you choose, Cervinia or Zermatt, this is one amazing run which begins with enormous glacial fields and drops into steeper, bumpy terrain. 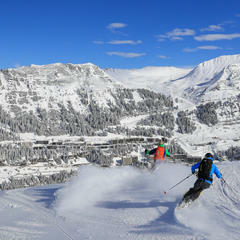 Due to its altitude, the ski runs from the Klein Matterhorn are consistently skiable from late November to mid-April. For something slightly shorter, try Cervinia's intermediate Ventina run, a 7-mile descent from Plateau Rosa. The Cascades run is renowned for being the longest blue run in Europe. 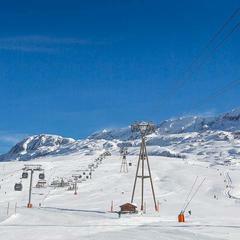 Start at the top of Les Grandes Platières in Flaine, at 8,202 feet, and ski all the way down to Sixt. Experience the 5,900 vertical feet and take in the spectacular scenery along the way without a single ski lift in sight. Be sure to make a stop at the Gers lake restaurant, a popular place to sit, enjoy a meal and admire the scenery. On arrival in Sixt, take the free shuttle bus back to the GME car park in Samoëns. 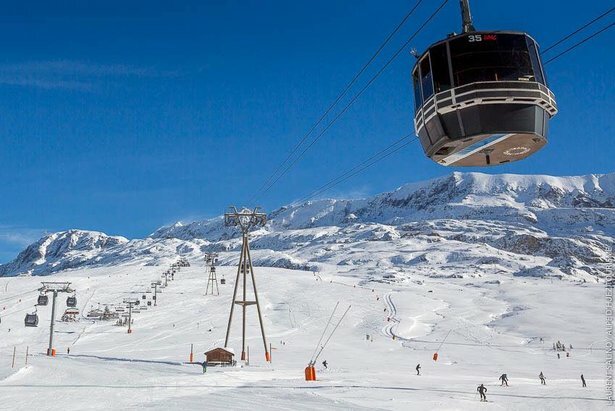 The 6-mile L'Escargot, the longest green ski run in Europe, is ideal for beginners who are getting sick of the nursery slopes. It gives them a chance to stretch their legs with the big boys. The L'Escargot starts at 6,725 feet and winds its way down to 4,586 feet, most of which is in pine and larch forest. From the top, views aren't at all shabby; you'll see the Dent Parachee, the Pointe D’Andagne and even the Grand Paradis. Snowboarders may not enjoy it quite as much as skiers, as parts of the run are quite flat.